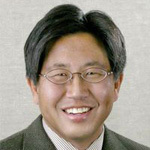 Joseph H. Eto is a staff scientist at the Lawrence Berkeley National Laboratory where he manages a national lab – university – industry R&D partnership called the Consortium for Electric Reliability Technology Solutions (CERTS) http://certs.lbl.gov. Joe has been involved in the preparation of every major Department of Energy study on electricity since 2000, including the Power Outage Study Team (2000); the National Transmission Grid Study (2002); the US-Canada Final Report on the August 14, 2003 Blackout; the DOE National Electric Transmission Congestion Study (2006 and 2009). In 2011, he completed a major study for the Federal Energy Regulatory Commission on the use of frequency response metrics to assess the reliability impacts of increased variable renewable generation. Joe has authored over 150 publications on electricity policy, electricity reliability, transmission planning, cost-allocation, demand response, distributed energy resources, utility integrated resource planning, demand-side management, and building energy-efficiency technologies and markets.